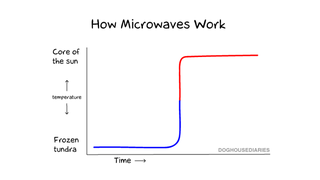 Whatever energy you spend fussing with your microwave, testing out different power levels and durations, is wasted. It's about time you knew that. Because despite all your efforts, your food can only come out one of two ways: ice-cold, or mouth-singeing.